A member of the Writer’s Oasis, my support community for creatives who use writing to think or share their voices, asked me recently how I learned to trust myself. I was delighted I could quickly make a list of all the ways I practice self-trust. Not that I don’t struggle sometimes, but I know how to start practicing again! That makes me so proud. This is what I want for all women: to unpack the internal oppression of not being enough and instead, trust in our experiences and knowing we can handle what life brings. To trust in how we learn. To listen to ourselves first and others second. 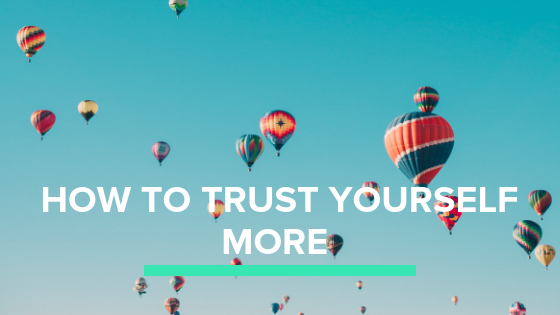 Here are my Practices of Self-Trust – see what you already do and what you might want to try. Repeat after me: “It’s safe to want. It’s safe to take action on what I want. It doesn’t matter if I get it, although that would be nice. What matters is the inspired action I take.” It’s safe to want. You are always doing the best you know how in any moment. Take action and then ask, “What do I know now?” Second guessing yourself sounds like looking back and saying, “You should have known better!” But you couldn’t. Let’s stop rewriting history and use what we know now. Self-trust is not an arrogant “I’m always right” stance. Rather, it’s an open-hearted embrace of being human. Make a mistake? Forgive yourself, make amends if needed, and move on. Self-trust withers when we think we should know how to do something before we even try. Self-trust flourishes when you remember: you have no idea what you are capable of learning and creating. What would you like to learn today? Make commitments you can actually keep. I spend quite a bit of time each week thinking about what I can actually do in a day and breaking my projects down into doable tasks so when I look at my to-do list, I know where to start. This minimizes procrastination! And it means I know what finished looks like so I can rest and celebrate. Do what you say you will + declare what’s enough + celebrate you did it = self-trust to infinity and beyond! Untangle self-trust from getting things right. Self-trust isn’t about intuiting the future correctly – if only! Rather it’s about declaring, “I listen to myself. I stay on my own side. I treat myself and what I want with respect.” It’s the act of being with yourself that matters, not predicting the future correctly. What increases self-trust in you? What diminishes it? What’s one small deliberate practice could you put into place this week to trust yourself a little bit more? 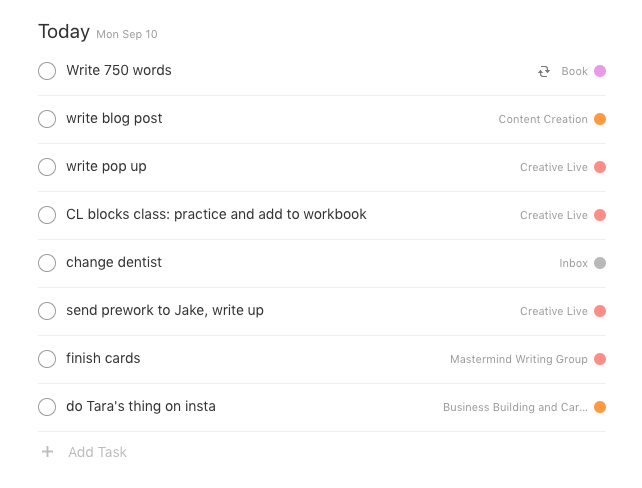 What app are you using to organize your to-do list? That looks like the type of app I have been looking for! I had to deal with an extremely difficult situation this morning…one that carries great trauma and feels very overwhelming. I didn’t sleep well and saw your Post on Facebook during the night. It gave me so much strength, especially the part about remembering I am doing the best I can. I actually kept it on my screen this morning while I made the scary phone call and while the situation remains challenging,, the person I spoke to was very kind and helpful. Your words along with some mediation and prayer, helped at a time when I felt quite alone and not in my power. Thank you so much, Jen!